Back in July of 2016, my family decided to move from New Jersey to Saint Louis in order to help support my chess ambition. 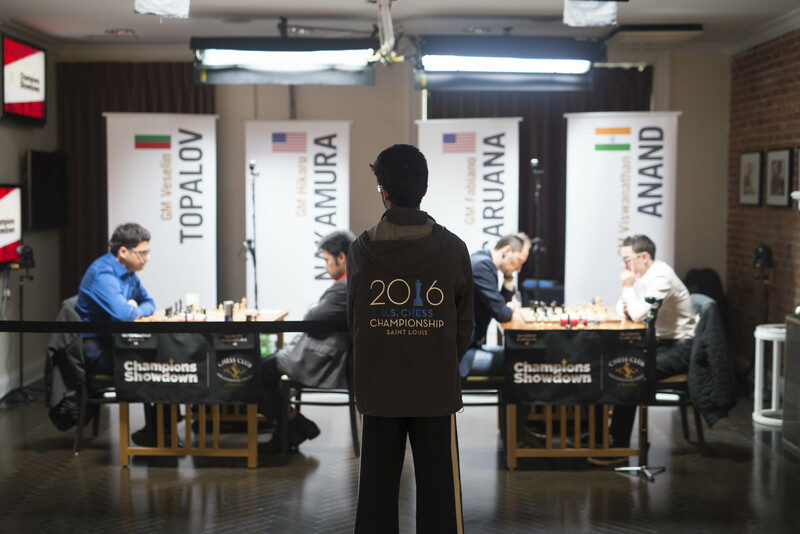 Moving to the chess capital of the country was an exciting change as it allowed me to be closer to the heart of U.S. chess. Upon entering 2018, I thought it fitting to indulge in some nostalgia and relate my experiences over the last year-and-a-half as a member of the local Saint Louis chess community. How exactly did Saint Louis come to be known as the chess capital of the country? The answer to that question can only be attributed to Rex and Jeanne Sinquefield. In 2008, they sparked a chess vibe by opening the Saint Louis Chess Club in the Central West End. Through their persistent efforts and generous patronage over the last ten years, they have succeeded in sustaining a renowned and flourishing chess culture. That’s what drew me here. Their vision has guided chess in Saint Louis higher-and-higher up the arc and now the city is synonymous with chess. One of the ways I have benefitted from the vibrant chess culture of Saint Louis is through the rare privilege of watching multiple world-class events at the Chess Club, such as the Sinquefield Cup and Champion Showdowns. It has been a surreal experience to have players like current World Champion Magnus Carlsen of Norway and former World Champion Viswanathan “Vishy” Anand of India play before my very eyes. I even had the opportunity to engage in a conversation with Vishy during one of the tournaments. Where else in the world can a youngster casually converse with a 5-time world champion? Only in Saint Louis! The Chess Club conducts a unique “Resident Grandmaster (GM)” program, the only one of its kind in the country, where a GM is hosted by the Chess Club throughout the year on a rotating basis. This has allowed me to occasionally sit down with Grandmasters for an analysis of games, or sparring over the board. Such interaction with strong players is beneficial, as it keeps the chess instincts sharp. The most memorable and enjoyable experience for me was when GM Yasser Seirawan came to town in late 2016, and was the resident GM. Yasser is a four time U.S. Champion, and is known in chess circles as the most genial soul you’ll ever meet. We looked at my games and went through Yasser’s analysis of the 1990 World Championship match between Kasparov and Karpov. He also shared several amusing and enthralling stories from when he was an active player. For me, it was delightful and a total immersion of chess as many times we lost track of time, musing at the chess board for hours well into the night.